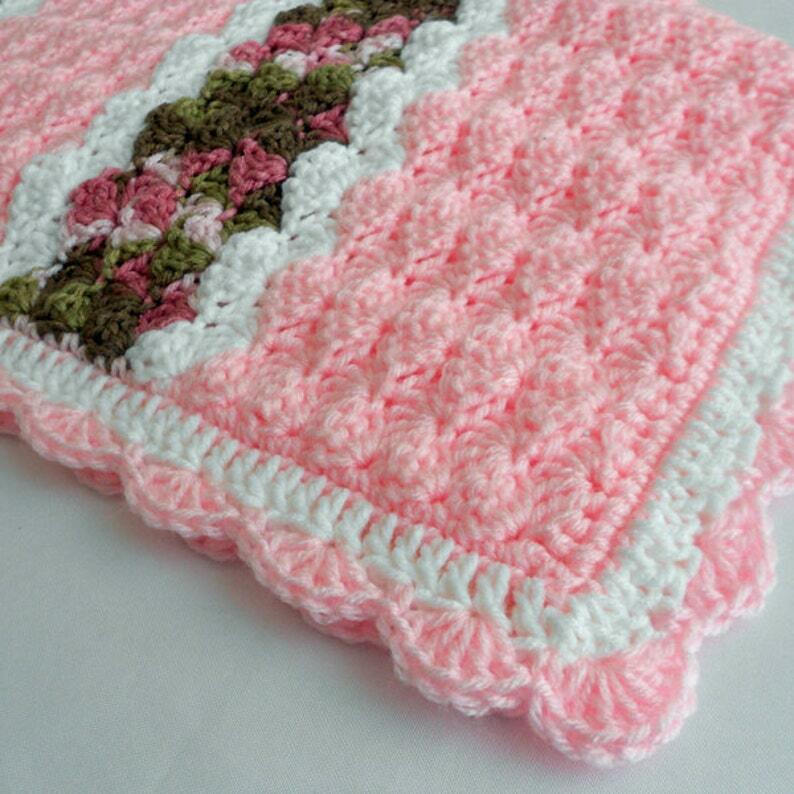 Crochet this beautiful baby blanket which is designed for baby to enjoy for years. A gorgeous, handmade, keepsake baby afghan would make a perfect baby shower gift or an heirloom to be passed down through the family. It would also be a fantastic photo prop too! Generously sized for crib use, it's ideal for the newborn infant baby, toddler or young child or it could even be used as a throw blanket, a lapghan, a lap robe or for wheelchair use. This soft, snuggley, baby afghan will quickly become a favorite blanket. The design is written in English with standard U.S. terminology and was inspired by a Barbara Berger creation. The Cameron Baby Blanket crochet pattern includes a list of materials needed, crochet abbreviations for the stitches used, plus full instructions on how to crochet each row and includes two different edgings. This crochet pattern is considered a Beginner to Easy Skill Level pattern. An understanding of basic crochet stitching is required. The pattern comes in Adobe Reader format (.pdf). Don't want to make one yourself? Contact me and I'll gladly make one for you! Thank you for this very sweet pattern!